Fashion and music are two areas of the arts that often go hand in hand. They also happen to be two of our favorite areas to seek creative inspiration, which is why the current exhibitions taking place at the Montreal Museum of Fine Arts (Musee De Beaux-Arts) have us completely “jazzed” to hop on a plane! 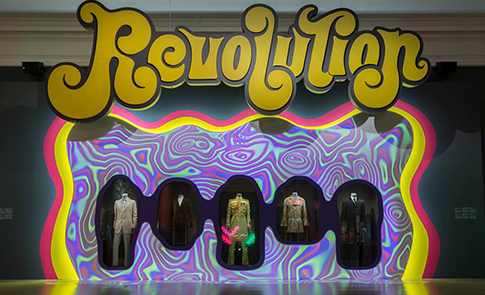 “Revolution” focuses on the years 1966-1970 and combines various artifacts including visuals, music, clothing, artwork, posters, photos and album covers to create a full-sensory experience. The show presents a glimpse of how the optimism, political enlightenment and social change that was prevalent at that time was highly associated with the music of the era. If you’re a fan of music, art and the 60’s- this show is a must-see. It runs through October 9th. 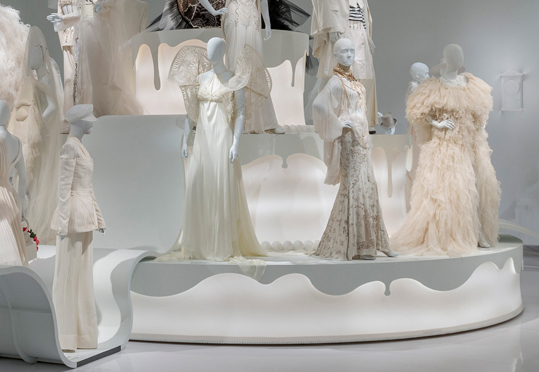 “Love is Love” features 36 couture creations by the designer Jean Paul Gaultier, presented in a “wedding cake” inspired installation that celebrates the beauty and diversity of love. 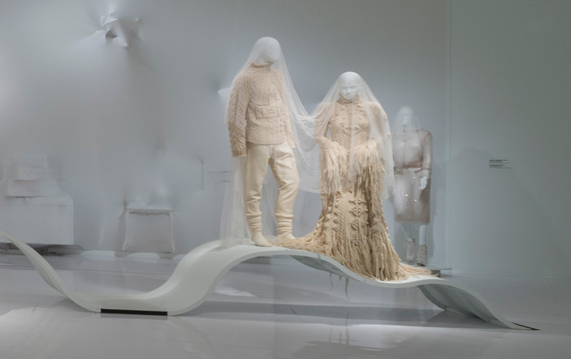 The show also uses visual projections and cocoon-like drapings to add to the “otherworldly” feel of this presentation, which the museum refers to as a “spectacular audiovisual and musical scenography.” It runs through October 22nd. However, according to the museum’s website, a ticket to either one of these shows gets you into both. C’est magnifique!